 We know that farmers should be at the forefront of agriculture, and we work hard to protect their natural right to define and shape their own food system. We do this by reframing the way the world views farmers, facilitating collective learning and catalyzing innovation through farmer-to-farmer exchange, and supporting on-the-ground efforts for farmer-led research and documentation. Advancing a culture of farmer autonomy and agroecological innovation. farmers and healthy for the environment. and our graphic designer, Nora Molina. Originally from Hastings-on-Hudson, NY, Loren was introduced to agriculture through Putney High School. He went on to get a B.A. from Warren Wilson College in Asheville, NC, where he studied Sustainable Agriculture and worked on the mixed-crop and livestock Farm. There, his work and research focused on small-scale pig production and a 65 head grass-fed beef operation. In 2006 Loren spent a semester at the University of Hawaii in Hilo where he studied Tropical Agriculture. After college Loren helped successfully run an organic brewery in Asheville. In 2010 Loren and Asher founded AGC, and the organization was granted 501(c)3 status shortly after. 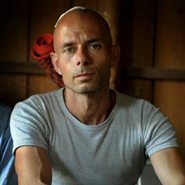 The following year, Loren embarked on a journey to frame a new narrative of the role of agrarians around the globe. He searched for the innovations that allowed societies to feed themselves for countless generations—absent of harmful chemicals. Loren visited farmers of the Himalayas, the Mekong delta, Bedouins who farmed the desert oasis, indigenous tribes who herd the great rift of Africa. He helped set up and run organic farms and projects in Kenya, and Vietnam, and consulted with NGOs in Egypt and Uganda. Loren is a leader in a small but growing movement of farmer-centric organizations. He believes the key to sustainability lies in returning small-scale farmers back to the forefront of agriculture. Along with his colleagues in the movement, he promotes farmer-led research, extension, and outreach, helping to create sustainable, self-driving futures. 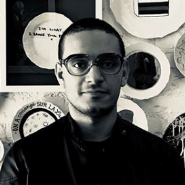 Gio Serrano is a creative director and writer who has spent a decade developing concepts and leading creative teams for global advertising agencies and brands including McCann, Saatchi & Saatchi, Vice, BMW, Netflix, Anheuser Busch, Chipotle, and many others. 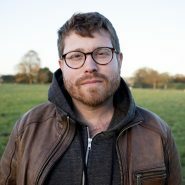 He believes that one of the most difficult things to do is to earn the attention of the masses — increasingly so in the age of mobile technology. Through inspiration, teamwork, and a “none of us is smarter than all of us” mentality, Gio has directed and mentored teams of some of the most talented creative makers around the world. His integrated advertising campaigns have earned billions of impressions across every platform and media channel, and been recognized in creative industry publications and award shows. He studied at Columbia University and the School of Visual Arts in New York City. He and his wife currently live in Brooklyn with their two cats, one of whom is actually a dog. In his spare time, he produces music that reminds him of the time and place that made him: 1990s Chicago. 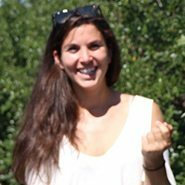 Based out of New York City, Bonnie has explored many arms of the food sector: she earned her M.S in Nutrition and Public Health from Columbia University, is a Registered Dietitian Nutritionist, trained as a chef at Le Cordon Bleu Paris, and has worked and volunteered on farms around the world. She comes to A Growing Culture with over seven years of communications experience at organizations including Food Tank and Slow Food USA. If she’s not advocating for a more ecological and just food system, she’s probably out for a run. Tanner grew up in central Kansas where agriculture was everywhere except on his radar. After moving to Oklahoma for school, Tanner began working with local community gardens and various farms to pay for tuition. He completed his undergraduate degree at Oklahoma Baptist University where he studied Anthropology and became deeply interested in social justice and human rights. Tanner was drawn to agriculture when he saw all the things he loved could be combined including geopolitics, traveling, farming, reconciliation and community. Overall, his love for people and learning is what propels him forward. Tanner has spent the last 5 years working in many different facets of agriculture including farming, cooking and advocacy from the Western slope of Colorado and plains of Oklahoma to Southeast Asia and East Africa. He is currently completing his Masters in International Agriculture at Oklahoma State and is proud to be working with AGC. 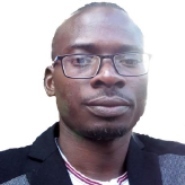 Ezra Kalule received a Master of Science in Information Science and a Bachelor of Library and Information Science from Makerere University, Kampala and currently working with A Growing Culture as ‘Library for Food Sovereignty Content’. Ezra has nine years teaching experience in the field of Library and Information Science at a University level. He has lectured at Uganda Christian University, Ndejje University and Muteesa 1 Royal University in various courses as Digital Library services, Management of Electronic Resources, Management of Information Institutions, Information Literacy, Research Methods, Community Information Services and Multimedia Librarianship. His research interests focus on Information Seeking, electronic resource management and information technologies in LIS. Ezra is a former Executive member (Assistant treasurer) and a member of Uganda Library and Information Association. 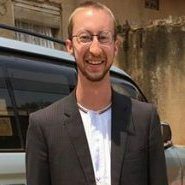 Other than teaching, Ezra has served in different positions as a Metadata Specialist- World Digital Library (National Library of Uganda) and Library assistant – Ndejje University. He likes socialising, venturing and traveling. Dan Hughes was raised in the Piedmont of North Carolina, the son of an avid gardener and cook. Food and a commitment to the environment have shaped much of his thinking over the years. Having worked in the fields of several farms and the the kitchens of many restaurants and food companies, he remains connected to these roots while exploring new avenues of affecting change. He has been working with AGC since its inception in 2010 and currently resides in Oakland, CA. Dan Kiprop Kibet was born in Salawa, Baringo County, Kenya where he grew up on a small-scale diversified farming homestead. His love for agriculture began in primary school. 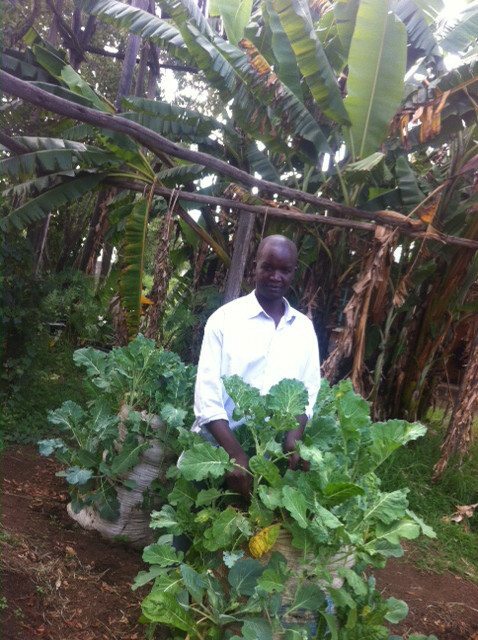 He raised garden crops using locally available resources, and through this realized how sustainable farming can give us access to healthy food while sustaining the environment. 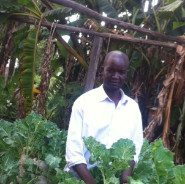 This experience motivated him to choose agriculture, where he began his career as a volunteer at Ukweli Training and development Center in Eldoret, Kenya. The Center specializes in training on Organic farming methods and later sponsored him for a Certificate in Bio- Intensive Agriculture at the Manor House Agricultural Center. He holds higher diploma in Counseling Psychology and a certificate in trainer of trainers from the Kenya Institute of Psychological Counseling. 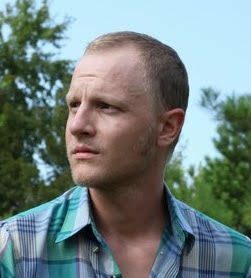 Using his expertise and experience, Dan integrated the fields of psychology and agriculture to foster sustainability for better lives for all. Chesha Wettasinha is a Dutch/Sri Lankan tropical agriculturist with long-standing experience in the development sector in Asia and Africa. She is currently a senior member of the international support team of Prolinnova, an international network promoting local innovation in ecologically-oriented agriculture and natural resource management. Over the past 30 years, Chesha has been engaged in a variety of settings and functions, combining social and technical skills related to smallholder rural (agricultural) development and natural resources management. Her work has focused on promoting local/farmer-led innovation and joint research as a means of combining local and scientific knowledge for more relevant and beneficial development outcomes. 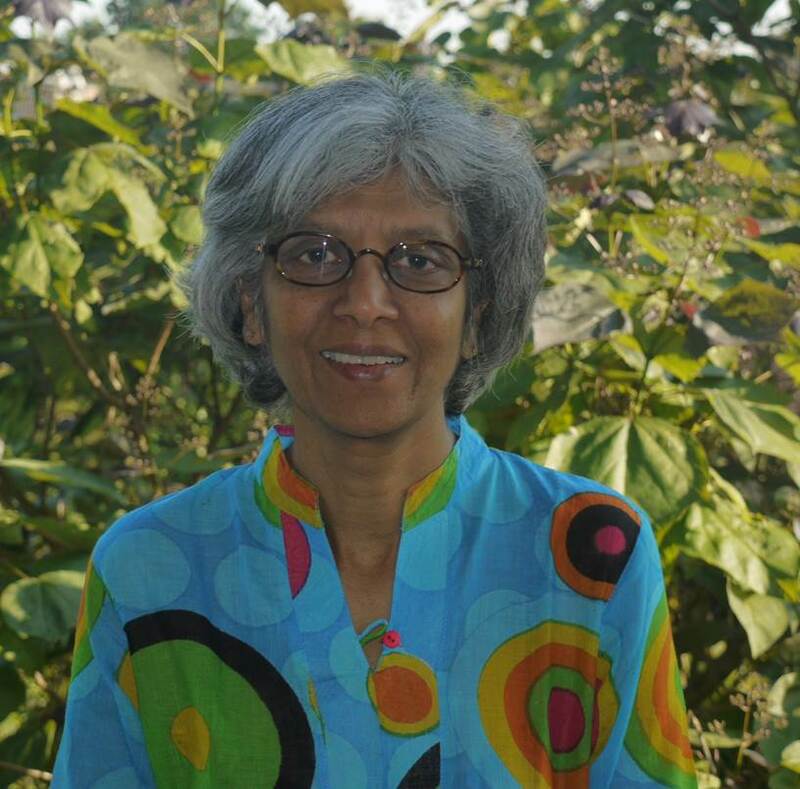 She has worked in inter-disciplinary teams with multiple stakeholders using participatory and inclusive approaches. Her work has included facilitation of multi-stakeholder partnerships, mainstreaming gender into development initiatives, conducting action research and thematic studies, designing and conducting training workshops and coaching trainees, project/program management, monitoring and evaluation for learning, documentation of processes, editing and publication. Having collaborated closely with many rural communities and organizations in Asia and Africa, Chesha has an intimate understanding of their needs, aspirations and challenges. She couples this with her professional expertise, analytical skills, passion and steadfast personal commitment to contribute to a more sustainable, just and equitable world. 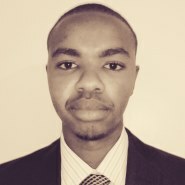 Newton Nyambati is a software engineer with more than 6 years experience in web and mobile software development. 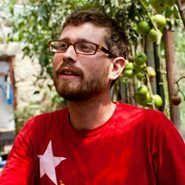 He is currently working with A Growing Culture as technical development lead for the Library for Food Sovereignty. Newton holds a Bachelor of Science in Computer Science from University of Nairobi and is pursuing Master of Science in Computational Intelligence from the Same Institution.